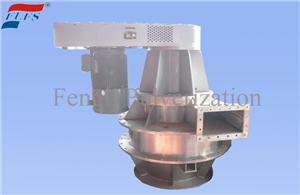 The ultra-fine roller mill of Zhejiang Fengli Company becomes the first choice of non-ore deep processing. Recently, the most popular product selection in the powder industry in 2017 was announced. 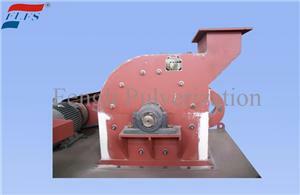 The National High-tech Enterprise and Zhejiang Fengli Crushing Equipment Co., Ltd., which enjoys the reputation of "China's Crusher Experts," have developed and produced the "CGM1000 Ultrafine Roller Mill". . This is the second time that Zhejiang Fengli has won this award after being listed in the “HWV Series Cyclone Grinding Machine”, which is the most popular product in the powder industry in 2013 and 2015. The Powder Industry's Most Concerned Product Award was co-initiated by China Powder Network and Beijing Powder Technology Association in 2013 to recognize products that have attracted the most attention from users and are the best-selling products in the industry. It relies on the powder industry's big data resources to truly reflect the activity of the powder industry-related products over the past year and the degree of market attention, aiming to promote the development of the industry. The selection activity has been successfully held for two times since 2013 and has attracted the attention and active participation of the entire powder industry. The activity is completely free. In order to strengthen the powder industry cooperation and exchange, and enhance the company's own brand value, China Powder Powder once again launched the third - 2017 powder industry's most concerned product award selection activities. The evaluation activity was launched on January 15, 2018, and ended on January 31, 2018. After a half-month online poll, the analysis results of the 2017 China Powder Network Booth Big Data were comprehensively selected, and the category year was finally selected. The most concerned product. From the top line, the event has cumulatively attracted more than 50,000 people from 28 provinces and cities across the country to participate in the voting. Among them, Zhejiang Province has the largest number of participants and nearly 15,000 people participated. At the same time, the event also attracted many South Korea, the United States, Japan, and Australia. National industry participants participate together. The organizer will produce and uniformly send award certificates to the winners. At the same time, each award-winning product will be added with the “2017 Most Popular Product” honor logo for the display of the China Powder Network for the annual publicity display. Zhejiang Chongli's CGM1000 ultra-fine roll mill, which was selected this time, is based on the introduction of advanced powder technology from Germany, combined with years of experience in the production of various types of crushing equipment. 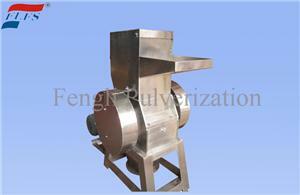 It has been independently innovative and has successfully developed a good performance and high efficiency. Small size, easy installation, uniform product size, ultra-fine grinding equipment comparable to similar foreign products, is an inner-staged high-pressure ultra-fine roller grinding, which can complete both powder grinding and fine powder separation at the same time. The process is suitable for ultrafine grinding of kaolin, limestone, calcite, talc, graphite, carbon black and other non-inflammable and explosive materials with Moisture hardness less than 8% and Mohs hardness below 6 grade. It is an ideal non-metallic mineral powder. The deep processing equipment of the material satisfies the demand of the non-metallic mineral industry for such equipment and breaks the situation that has long relied on imports. 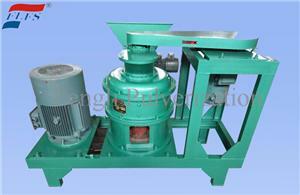 This equipment has been evaluated for new products in Zhejiang Province in 2014.